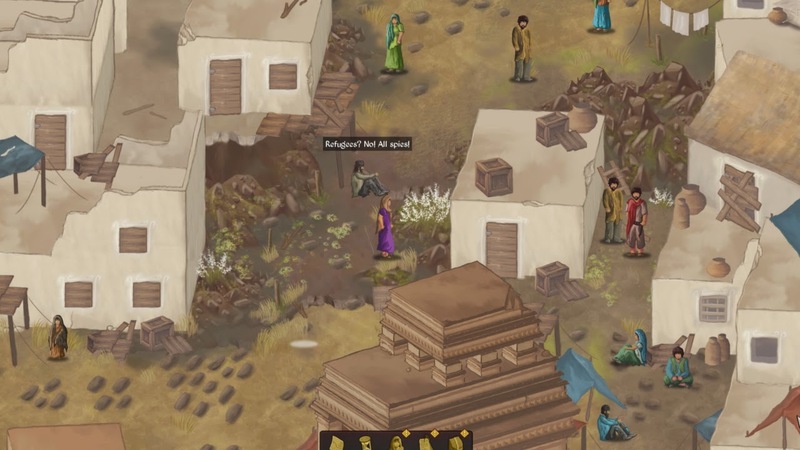 Unrest takes you to all corners of Bhimra, an ancient Indian city, to show you just how inhumane humans can be. You think snake-people are monsters, its other humans that will rob you blind. 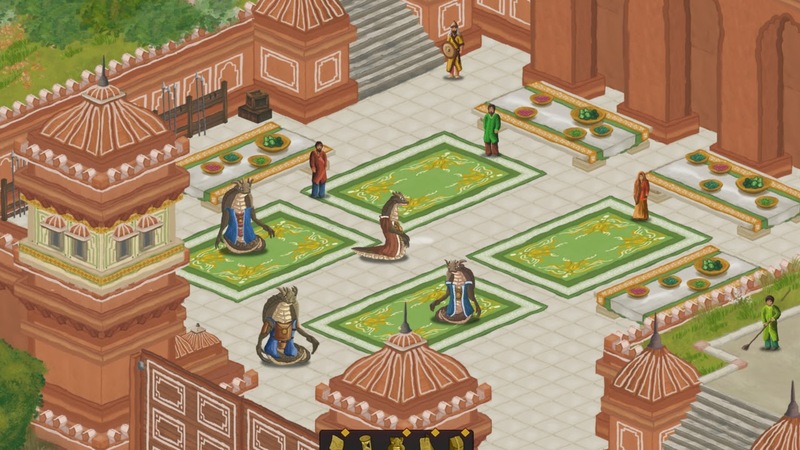 The world of Unrest is a fantastical interpretation of ancient India, the story opens in the royal palace of Bhimra, but you’ll soon find yourself adventuring through farming communities, sacred temple grounds, and the slums - each will seek to submerge you in the specific blend suffering and hardship of their respective residents. Unrest weaves its tale through a series of short scenes, vignettes, where you assume control of a number of different characters. Each with wildly different backgrounds, and therefore, different perspectives on the events of Bhimra and the encompassing slums. These scenes will see you engulfed in the political, and morally grey issues that surround the various factions and groups; the royalty and upper-class, the serpentine Naga (quite literal, giant talking snakes), legions of mercenaries and street thugs turned local justice, and of course, the poor and downtrodden. To navigate such dilemmas successfully, you’ll need to learn a little of the social strata, and identify the allegiances and priorities of the people who inhabit Bhimra. There are those who do not regard the slums as part of Bhimra. 'Smaller', more isolated issues can tug the heartstrings with ease. There are more than just the surface issues – the slums are a wretched nexus of poverty, illness and suffering, but it is the more personal plights that will stay with you the longest. In one scene you’ll be caught in the centre of an arranged marriage, in another, trapped between the moral obligations of your station and ensuring the safety (and survival) of your family. Smaller issues when compared to the thousands of starving and plagued, certainly, but also more intense and meaningful. From a narrative perspective, Unrest can be compared in a number of ways to Tell Tales’ The Walking Dead. In The Walking Dead you make a number of decision that effect the characters around you, but more importantly their feelings towards you, you do not necessarily have a profound impact on the outcome, or major plot points of the game. The game will play out in a very limited number of ways, but the player decides how to get there and what they experience. 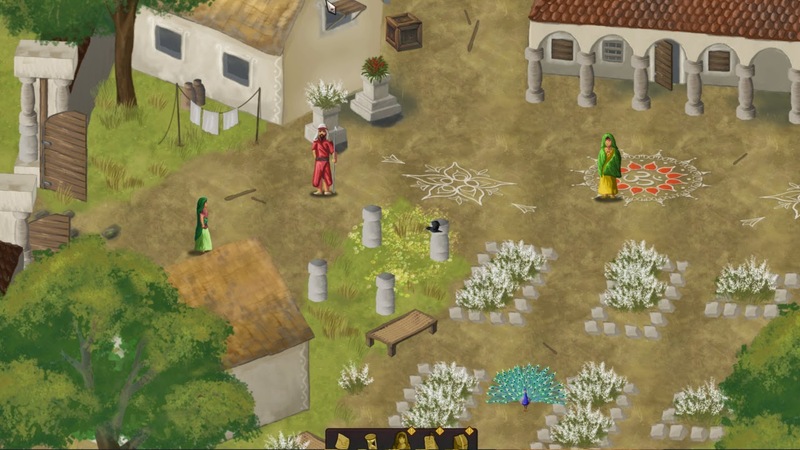 For example, in Unrest, when playing as a priest, you are tasked with giving out food to a crowd; your food is limited and you have to choose who to help. Ultimately it doesn’t matter who you choose to feed, but if you feed sick old people, over starving children, you’ll receive a stern tongue-lashing from the slums’ self-appointed saviour. Many such decisions are illustrated through the game’s trait system. Naturally, Unrest is not a systems-rich game, key decisions and actions are captured and displayed in the game’s trait screen. One such example; counter the human’s nervous insults with alarming humour as Chitra, a Naga diplomat, and you’ll receive the ‘Disarming’ trait, a badge if you will, to show how you diffused diplomatic tensions. 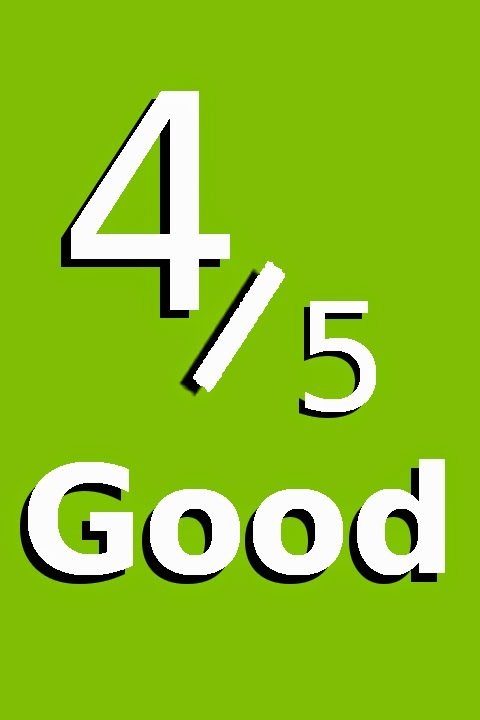 During conversations, character’s opinions towards you are displayed as three metres; friendship, respect and fear, they don’t have much impact on gameplay, they serve it quickly indicate a person’s opinion of you. Naturally, when playing as a Naga, people are more fearful (you’re a giant snake, this shouldn’t be surprising). 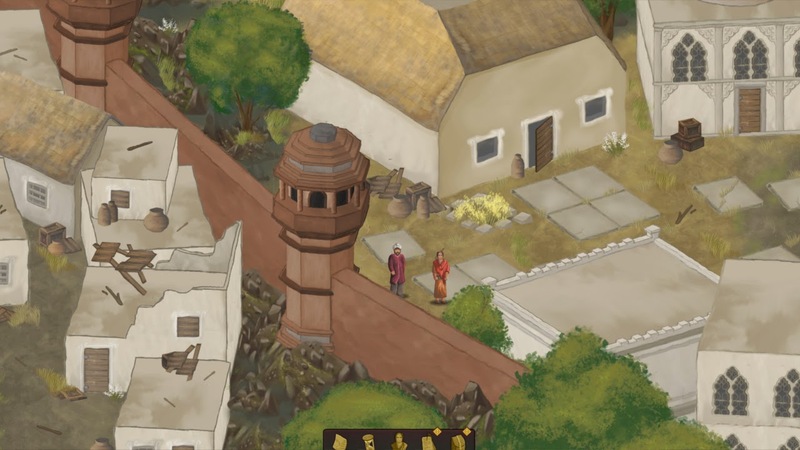 More interestingly, when playing as the priest - which are, often a polarising subject in Bhimra – people’s opinions sway much more dramatically. They could turn from loathing you to loving you, their life-giving idol, conversely; preach too hard to the wrong person, and they will instantly lose all respect. Oddly, the game does feature a very small (just a few seconds) of fighting. This combat system – if it can be called that – consists of just two buttons; attack and block. It seems pointless and serves only to highlight what the game is not capable of. The fight scene could have simply been written and portrayed through dialog, which might have been a much less jarring experience. Unrest says a lot, with very little. Bhimra, it’s citizens, and their hardships are depicted artfully by the brush; visually, Unrest portrays a hand-painted aesthetic - both striking and divisive. The minimalistic style of the art achieves a delicate balance between, establishing the character of the various locales you sojourn, and capturing beauty, whatever its form or place. In the royal palace this is only natural and expected that the gardens are vibrant and lush, yet in the slums, or the remote villages and paddies, elements of visual resplendence – such as the plumage of a peacock - thrive. In a game all about reading, it could be easy to imagine that the developers would fill the game to the brim with needless text, for reasons of padding and volume. Thankfully they refrain; conversations are relatively fast and concise, this is not to say they lack depth or value, the dialog is written deftly. There are opportunities to pick up and study dusty tombs containing Bhimra's history and lore – fear not, for these are also succinct. In many cases, such items will contain a single sentence, an excerpt which may enrich a prevalent sentiment, or offer perspective on Bhimra's populace. The soundtrack is fitting and appropriate, well worth a listen to even outside of the context to the game. In the early scenes of the game, the music helps to develop the setting and the theme world. At times the music was quite evocative, at other times is was simply there – sounding lovely, but contributing little. Rather disappointingly, the game ends quite abruptly – yes, it happens at a natural climax, but it rings quite hollow – there is no satisfaction to be had here. It speaks volumes that the story I was most invested in was that of a young girl dealing with her arranged marriage. This scene served only to explore other, less immediate hardships that plague the Bhimra, and had no impact on the outcome of the game. Whereas, the main narrative arc feels like a tool, a method of delivering other social dilemmas and exploring the monsters that humans can be, this is an intriguing and effective way of conveying such concepts, but it also results in an unsatisfying conclusion. Unrest uses a variety of methods to tell its tales - which revolve around the various levels of degradation and depravity that human souls can reach when pushed to the edge. It is presented quite sparingly, also effectively; both the art and writing are concise and restrained, where it could have so easily been diluted. It is disappointing that the main story does not conclude meaningfully, but it’s the characters you meet, and their tribulations which you experience first-hand, that makes Unrest a worthwhile and very unique story. One which will likely linger long after you’ve finished it.